Global Sports Mentoring Program: Where Are They Now? In 2016 Lakeshore Foundation was chosen by the U.S. Department of State’s Global Sports Mentorship Program, which partners with the University of Tennessee Knoxville Center for Sport, Peace and Society, to be a host and mentor organization to emerging leaders from across the globe. Lakeshore provided them with extensive interdepartmental opportunities to cultivate their skills in sports management, marketing, advocacy and business to address the pressing social issues facing persons with disabilities within their local communities. Then, the leaders developed a strategic action plan to address these specific social issues through sport. Since returning to their countries, our leaders have been doing groundbreaking work organizing Para sport events, facilitating sport and inclusion workshops, creating policy, and establishing high ranking positions in National Paralympic Committees. 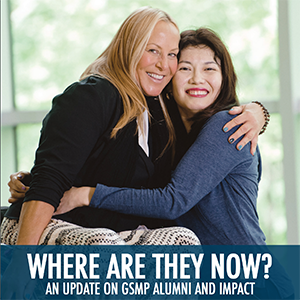 Click to read more about all of the work our GSMP alumni are doing. In May of 2017, Sileno Santos, an ADA Fellow through the U.S. State Department and Association of University Centers on Disabilities International Fellowship program, traveled to Birmingham from his home in Sao Paulo, Brazil to spend a month learning from and working with Lakeshore staff. Since his visit, Sileno has done great things to promote inclusion and adapted sports in Brazil. At the Sports Association for the Disabled, where Sileno works as an adapted sports coordinator, he has created more inclusive program opportunities so all participants, regardless of ability, can be included. He also implemented more recreational and fitness programs for youth not interested in competitive sport. In November 2018, Sileno graduated with his Ph.D. from the University of Sao Paulo where studied the impact driving has on the mobility of individuals with a spinal cord injury. 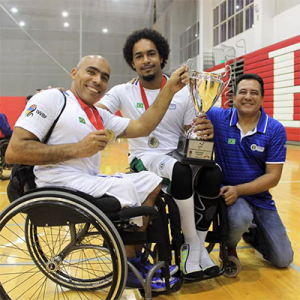 He was also named head coach of the Brazilian Men’s Wheelchair Basketball Team that will compete at the 2019 Parapan American Games in Lima, Peru. Their goal is to qualify to the Tokyo 2020 Paralympics. 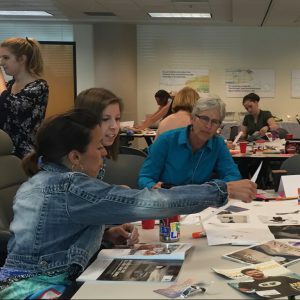 In the spring of 2016, 30 women from 14 states and two different countries were invited to Lakeshore for the Women with Disability in Sport Roundtable to gather qualitative data surrounding the needs of women with disabilities in sport. The diverse group of female athletes with a disability and those who work within the field of adapted sport began a dialogue and worked across specific content areas to generate common themes as well as highlight gaps within the sports movement. One of the participants was Sarah Goldman. Fresh out of college, Sarah was embarking on her professional career. Read about where Sarah is now and how she is advocating for people with disabilities in Florida. 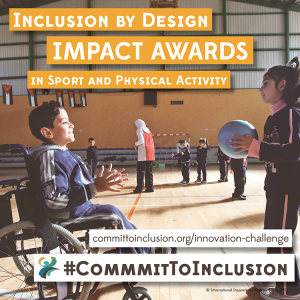 In January 2016 Lakeshore, in partnership with the Global Partnership on Children with Disabilities Task Force on Physical Activity and Sport, UNICEF, the Institute for Human Centered Design and the American College of Sports Medicine launched the Inclusion by Design Impact Awards in Sport and Physical Activity. The award was set up to inspire and share best practices around the world that demonstrate excellence and innovation in their approach to achieving more inclusion for children and adolescents with disabilities. Winners of the award include the Centre for the Rehabilitation of the Paralysed in Bangladesh, The Inclusion Club, Ltd. and No Barriers USA. Amy Rauworth, Director of Policy & Public Affairs, served as co-chair for the GPcwd task force on physical activity and sport. The mission of the Physical Activity and Sport Task Force is to promote mechanisms for cooperation and collaboration to enhance policies and programs that promote the right for children with disabilities to inclusive physical activity, physical education, sport, recreation and play in line with the Convention on the Rights of the Child (CRC), Convention on the Rights of Persons with Disabilities (CRPD) and other relevant human rights legislation. 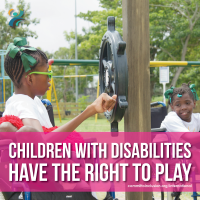 The GPcwd Task Force is committed to advancing the rights of children with disabilities to all forms of physical activity and sport through policy, advocacy and strategic communications. In 2016 the task force launched and awarded Inclusion by Design Impact Awards. The awards were set up to inspire and share practices around the world that demonstrate excellence and innovation in their approach to achieving more inclusion for children and adolescents with disabilities. 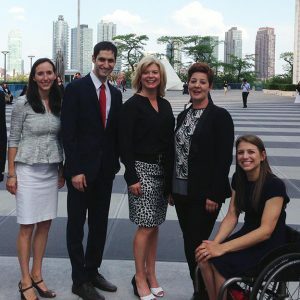 The Institute for Human Centered Design, Lakeshore Foundation, American College of Sports Medicine and the International Disability Alliance hosted a side event during the Eighth Conference of States Parties to the United Nations Convention on the Rights of Persons with Disabilities. This event focused on the right to sport and physical activity for persons with disabilities and provided information on new resources for States Parties and CSO’s. An additional feature was the showcasing of low-cost sport wheelchairs available through Motivation and the International Paralympic Committee that allow for more community based Programs. We are activity, research & advocacy. We are Lakeshore.